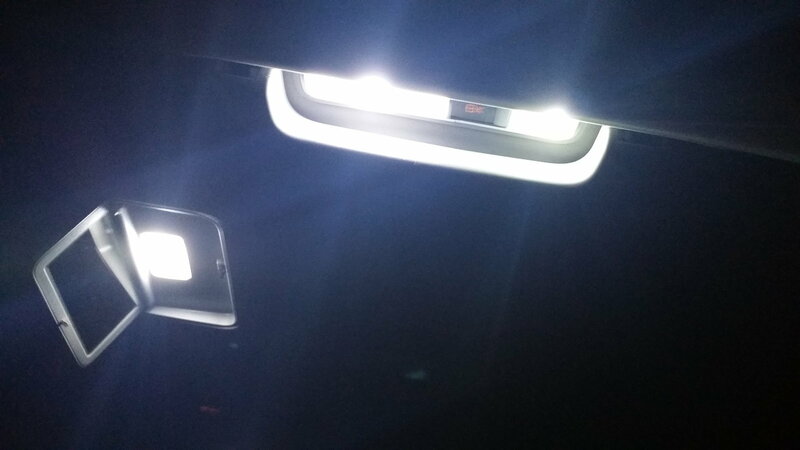 Headlights are great place to begin when it comes to lighting modifications, if not for looks then for functionality, since brighter headlights will create more visibility. From high intensity discharge (HID) to light-emitting diode (LED) bulbs, you have options that can both look great and keep the road ahead visible. 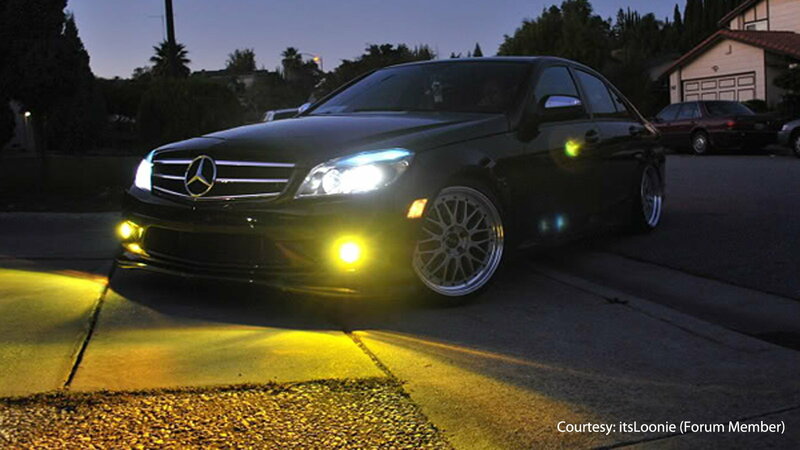 >>Join the conversation about lighting modifications for the C-Class right here in MBWorld Forum! Besides seeing what is in front of you clearly, you also need to be seen by cars behind and next to you. Replacing your stock tail lights with bulbs such as LEDs will allow for better visibility and less chances of being rear-ended. After this kind of mod, they can't use the "I didn't see you" excuse. Sticking with the theme of safety, upgrading the fog lights to anything brighter will keep you safe on the days your visibility is more obstructed than usual. You even have the choice of yellow HID fog lights. 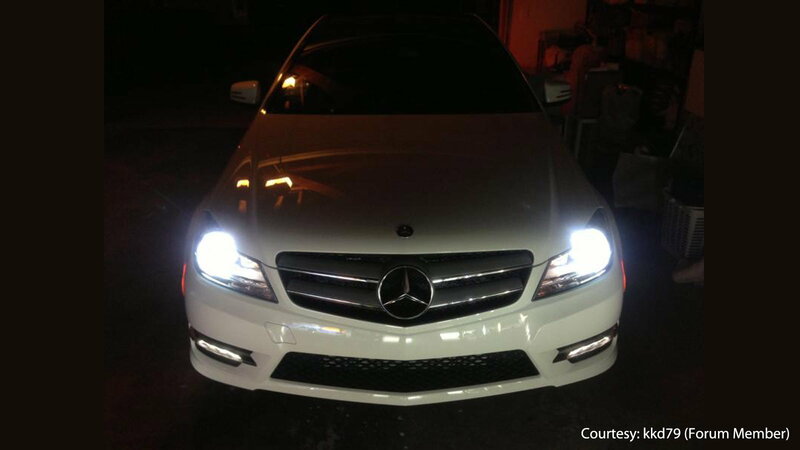 If you wish to change the lights for some HIDs, then refer to this great DIY write-up: How to Install HID Fog Lights. Continue reading for funner ideas for lighting modifications in the following slides. 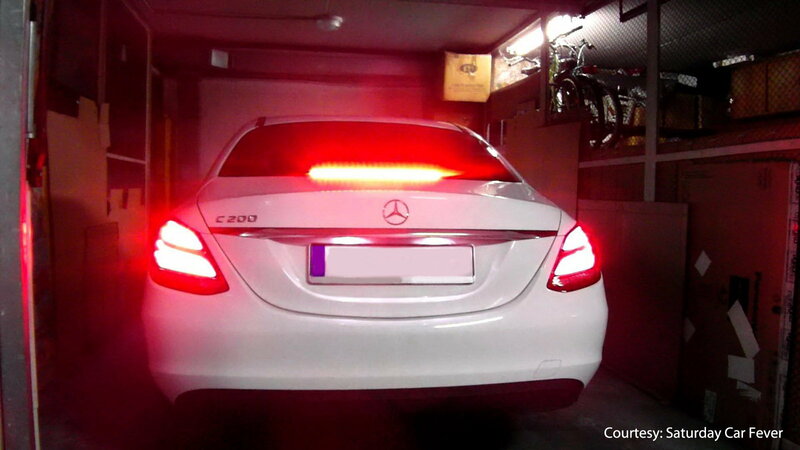 LED lights under the car are a sure way to get noticed. 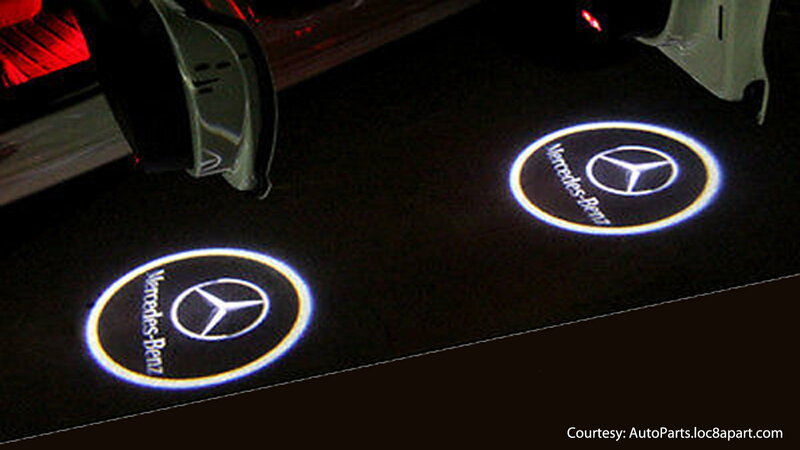 Adding these lights will help your C-Class stick out at night in a good way. With so many colors to choose from, you can't go wrong. Plus, you can even add a few shadow lights underneath the doors so everyone knows what car you drive, even if the emblem isn't noticeable. 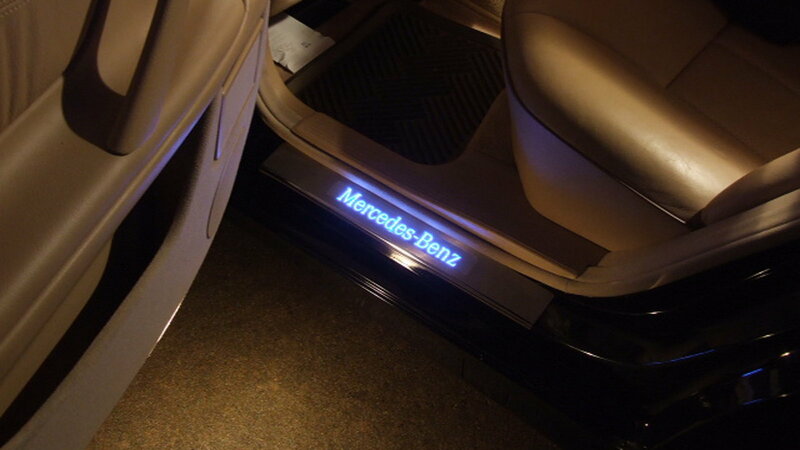 Another area you can add the M-B logo is the door sill itself. If you prefer subtlety, then these are a better fit than the shadow lights. When it is time to change the dome lights, you could change it with another regular stock-like bulb, but why not change it to something brighter? Click on the related article below if you need assistance in the replacement. You can even change the color if you prefer. Although, that kind of ambient light would be best served in other areas. Check out the next slide for more on that. Of course, there are so many other possibilities with the interior, and a few ambient lights will add a little something extra. 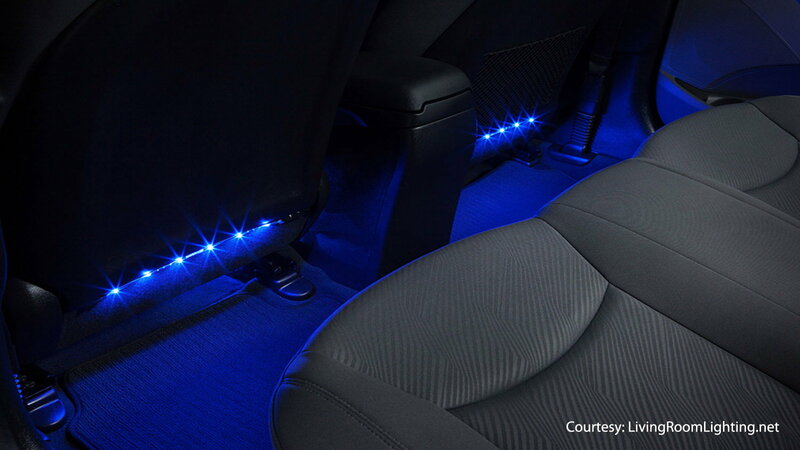 There are plenty of LED strips that come in different colors that you can cleverly add to many areas of your car and further amplify you and your passenger's experience. Sometimes those trunk lights are just not bright enough. What is the point of having a light if you can't even see to search through and locate your items? 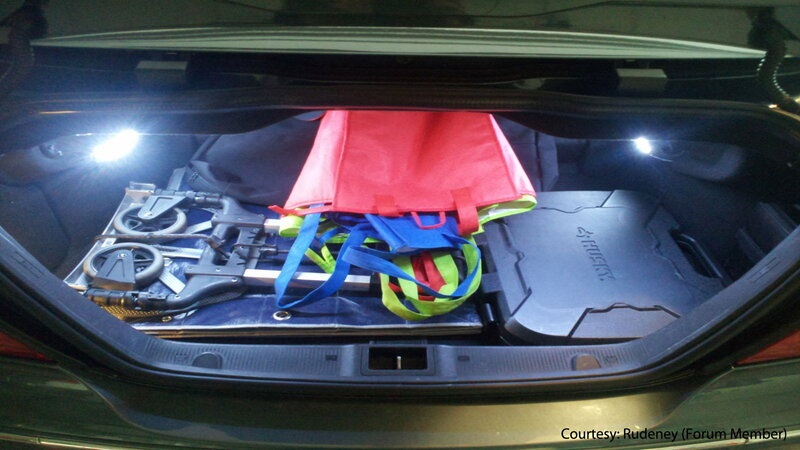 You can either add more lights with some strips or replace the stock bulb with something more brighter. 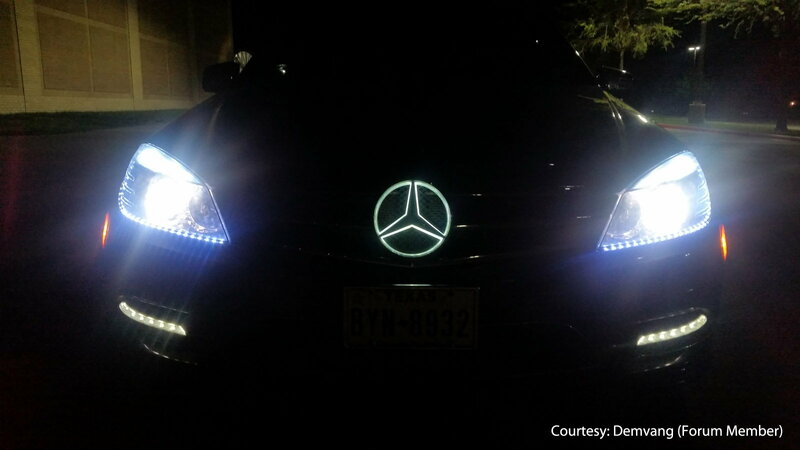 The Mercedes-Benz star can be seen by those searching for it, so why not illuminate it and give them a clearer view of it at night? This is the perfect mod on any Benz, and even if you decide not to do the previous mods, this will keep people staring. For maintenance and repair guides, browse our technical How-to articles here at MBWorld.org!